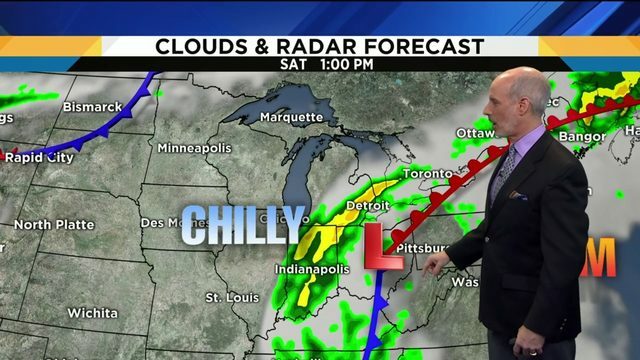 ANN ARBOR, Mich. - It's already midway through the college basketball season, and Michigan still hasn't lost a game. John Beilein's team matched the best start in school history Thursday, beating Illinois to improve to 16-0. 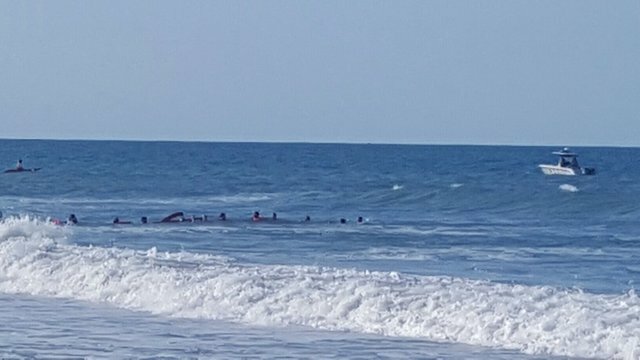 Virginia is the only other undefeated team in the country. Michigan doesn't have flashy NBA prospects like Duke or multiple Naismith Award candidates like Tennessee. The Wolverines have different players take the reins every night, depending on who's hot and who has the right matchup. The last two games were a perfect example. 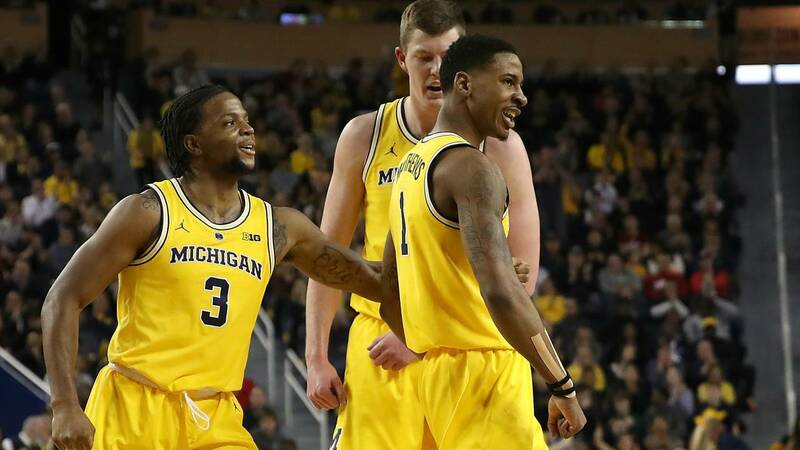 Against Indiana, Charles Matthews and Jordan Poole led the team with 18 points apiece on 53.6 percent combined shooting. Four nights later, the duo shot just 7-21 with 24 combined points. Zavier Simpson and Jon Teske took over, combining for 29 points on 52.4 percent shooting. Ignas Brazdeikis, meanwhile, quietly scored double figures both nights. Michigan doesn't have many household names in its rotation, but all five starters have become strong two-way players. Poole is coming off perhaps his worst performance of the season, especially on defense, but he's been the team's best scoring option for the better part of a month. After being held to just 13 total points in the first three games, Poole exploded for 22 points against George Washington and hasn't looked back. He's scored at least 10 points in 11 straight games and is now third on the team in scoring. The world knows Poole because of the buzzer beater against Houston last season that put Michigan in the Sweet 16. He's still got plenty of that flair, too. In the win over Indiana, Poole had multiple step-back 3-pointers and a couple of moves that left Hoosier defenders crumpled on the court. The most impressive part of Poole's game this season has been his defensive improvement. Despite his obvious offensive talent, it was unclear how much court time the sophomore would earn after a shaky first year on the defensive end. Now, 16 games into the season, Poole leads the No. 2 team in the country in minutes, averaging 32.8 per game. 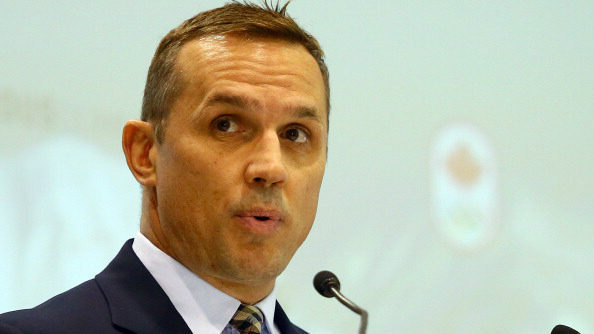 He's turned himself into a willing, even strong defender who rarely loses focus as he did last season. 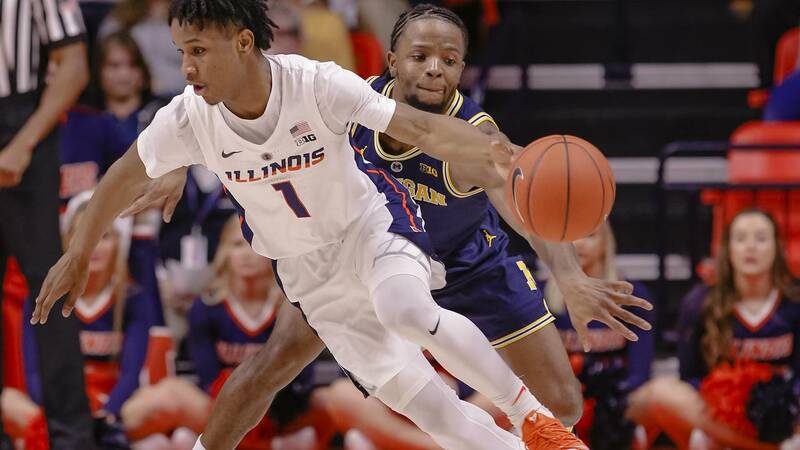 The Illinois game was a different story, as Poole was slow to get back in transition several times and didn't get in front of slashing ball handlers. Overall, his defensive development has been a major asset for Beilein. Poole leads Michigan in all three shooting categories, making 50.7 percent of his shots, 45.2 percent from beyond the arc and 82.5 percent from the free thrown line. The volatility of Matthews' scoring could be perceived as inconsistency, but it could also be a testament to the way Michigan approaches each game. When he has to, Matthews can take over a game offensively. The North Carolina game was a perfect example, as Matthews made seven of 12 shot attempts, including two 3-pointers, to finish with 21 points and seven rebounds in perhaps Michigan's biggest win of the season to date. Matthews has had five games with at least 19 points this season, but there have also been times when the offense operates through Poole and Brazdeikis. Matthews has had five games with single-digit points this season, shooting worse than 30 percent in each. But even when he's not clicking offensively, Matthews is an MVP candidate for the Wolverines. He's a versatile defender who almost always matches up with the opponent's best scorer, setting the tone with Simpson for a group that ranks fourth nationally in adjusted defensive efficiency. 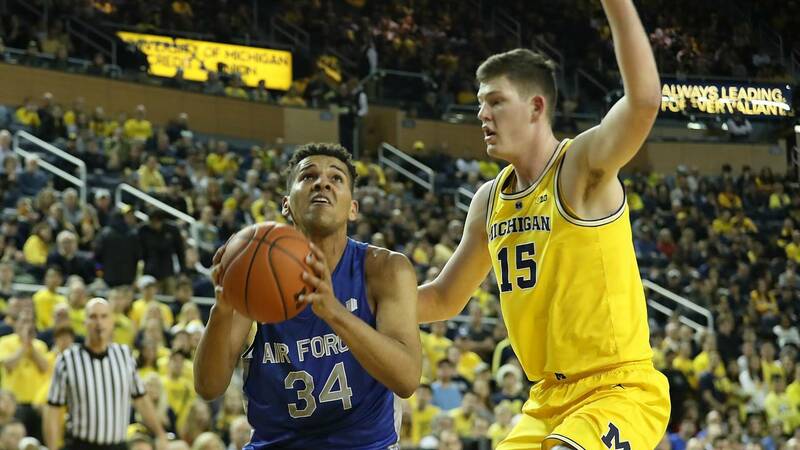 After deciding to return to Michigan for another season, Matthews has increased his 3-point and free throw percentages, though his overall field goal percentage has fallen more than 5 percent. Matthews is an elite perimeter defender and a really strong finisher at the rim -- more or less personifying Michigan's identity. 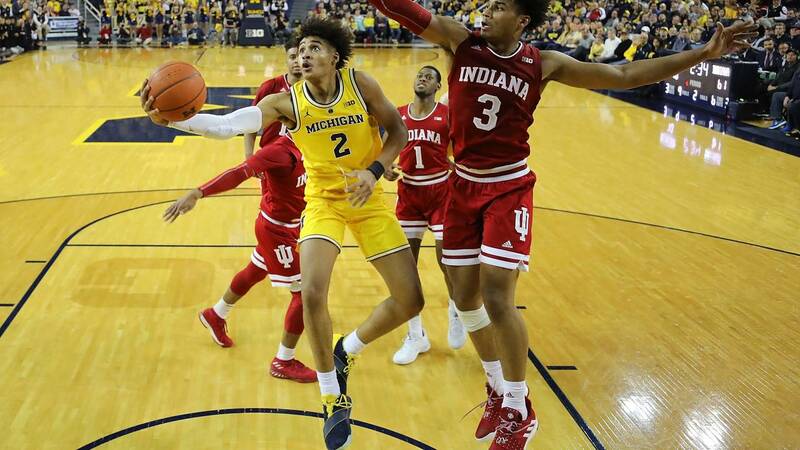 The main concern for a Michigan team coming off a trip to the national championship game was replacing the offensive production of Moritz Wagner, Muhammad-Ali Abdur-Rahkman and Duncan Robinson. Brazdeikis gladly stepped into that void. The true freshman leads the team in scoring and is second in rebounding. He's shooting 48.3 percent from the floor while representing Michigan's best true dual-threat option on offense. Brazdeikis is excellent in driving to the rim and finishing with either hand. He's also shooting 40 percent from beyond the arc, creating a difficult mismatch for slower defenders. Only twice has Brazdeikis been held below 10 points scoring, and he only took five and seven shots in those games. His two highest scoring outputs came against North Carolina and Northwestern -- the biggest game of the nonconference schedule and the only close game so far. Beilein feels comfortable playing the true freshman nearly 30 minutes per game because he's also a strong defender. He moves his feet well, gets his hands on passes and takes charges. For a team that lost three major pieces of the rotation and only added one, Brazdeikis has been invaluable. The best argument for Teske to be Michigan's MVP is that there's so little front court depth behind him, but that's not to say he isn't deserving of consideration in his own right. Teske has evolved into an elite defender, averaging 2.2 blocks per game and dominating matchups with all types of players. 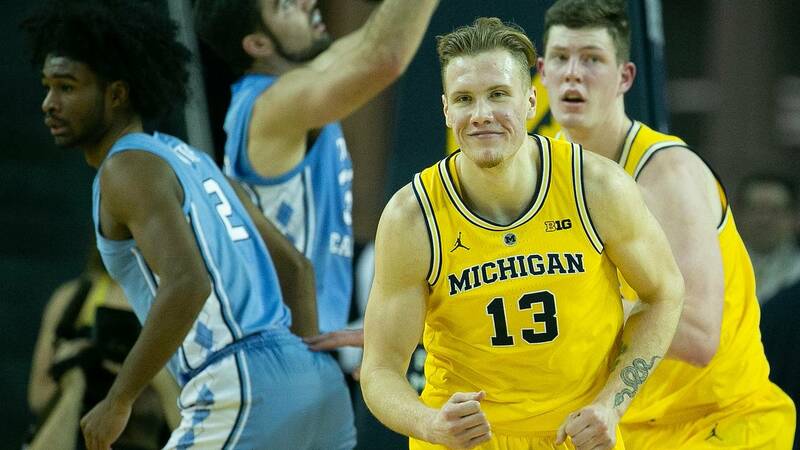 He shut down future NBA lottery pick Nasir Little when Michigan played North Carolina before turning around and confounding Matt Haarms in the win over Purdue. Simpson and Matthews set the defensive tone on the perimeter, but Teske is the anchor at the basket. He's a good help defender and the team's leading rebounder. Teske stepped up against Illinois when the team's top offensive options were struggling. He scored 13 points on just eight shot attempts, grabbed 11 rebounds and added four assists and four blocks. In the past, Teske saw minutes behind Wagner purely out of necessity. Now, he's more of a two-way threat. His free throw and 3-point shooting haven't been what Beilein hoped coming into the season, but Teske typically stays within the offense. Simpson is not a very good shooter, and for a point guard, that can be difficult to overcome perception-wise. But Michigan's junior point guard is so elite defensively, he makes up for the shooting struggles. Simpson is probably the best on-ball defender in college basketball, averaging 1.4 steals per game, harassing opposing point guards at the point of attack and forcing turnovers. The Wolverines are able to post such impressive defensive numbers because Simpson is disruptive at the point of attack. Whatever game plan an opponent has against Michigan at the start of a game is often maddeningly foiled by the likes of Simpson and Matthews wreaking havoc on the perimeter. Simpson isn't a bad offensive player, either. He ranks 25th in the country and second in the Big Ten with 6.1 assists per game. 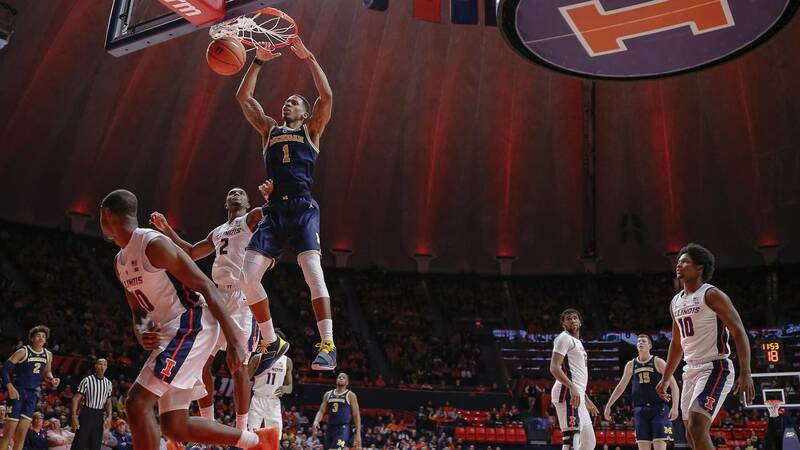 He sees the floor extremely well, no matter the situation, as evidenced by a pass to Teske out of a trap Thursday that turned a near turnover into a wide-open dunk. For a program that once had a reputation as soft, Simpson is the opposite. He's tough, chippy and aggressive on the court, and that spills over to his teammates. Even his free throw percentage has improved, as Simpson has made seven of eight attempts in his last four games. He made three 3-pointers against Western Michigan and two more against Illinois, so he's trying to keep defenders honest in that regard. He'll probably never be one of Michigan's top shooters, but any improvement just adds to an already strong all-around game. Michigan will now return home for a second meeting with Northwestern with a chance to set a school record. The Wolverines are 16-0 for the third time ever, but have never started a season 17-0. Then, the Big Ten schedule gets much tougher, with a road trip to Wisconsin and Indiana and home dates with Ohio State and Minnesota before the end of January. All four of those teams are expected to be in the NCAA Tournament.